MIDDLEPORT — The Village of Middleport will soon have a new tool in the battle against drugs — K9 Bonnie. Officer Shannon Smith and K9 Bonnie were introduced on Friday at the Middleport Police Department. K9 Bonnie is pictured with officials from the village of Middleport, as well as donors from Farmers Bank and Petland. 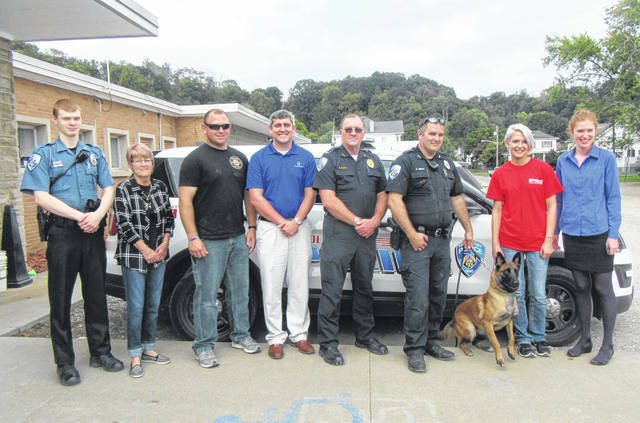 Pictured, from left, are Officer Aaron Dillard, Mayor Sandy Iannarelli, Tony LaRosa of Final Response K9 Solutions, Ben Reed of Farmers Bank, Police Chief Bruce Swift, Officer Shannon Smith, Bonnie, Tiffany Hudnall GM of Petland in Gallipolis and Hannah Mullin Communications and Community Service Coordinator for Petland. Bonnie, a Belgian Malinois, is currently in training for eight weeks with Officer Shannon Smith of the Middleport Police Department. Smith and Bonnie were introduced to village officials on Friday following their first week of training. “Bonnie will be nothing but a benefit and asset to the community,” said Chief Bruce Swift of the new addition to the department. Bonnie comes to Middleport from the Czech Republic, by way of Final Response K9 Solutions in London, Ohio. Owner Tony LaRosa was among those on hand Friday as Bonnie was introduced. Petland gave $7,500 which paid for the canine, with other donations from Farmers Bank, King Ace Hardware and anonymous donors helping to make the establishment of the village’s first K-9 unit possible. 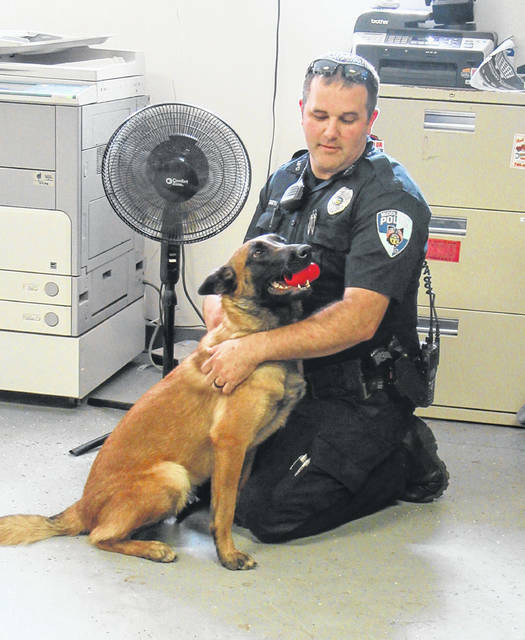 The training is also being provided at no cost through the Mansfield Police Department, which is allowing for the village to begin the program without the usual start-up cost of acquiring the canine and the initial training. LaRosa explained that Smith had contacted him to see if he had any dogs available, with Smith going to LaRosa’s farm to see some of the dogs. It was actually another canine that LaRosa had in mind for Smith, but after seeing Smith and Bonnie together she was the canine selected. LaRosa said Bonnie has a great social drive and work-ability. In the office on Friday she was sharing what has been called “Bonnie Hugs” with those around her. 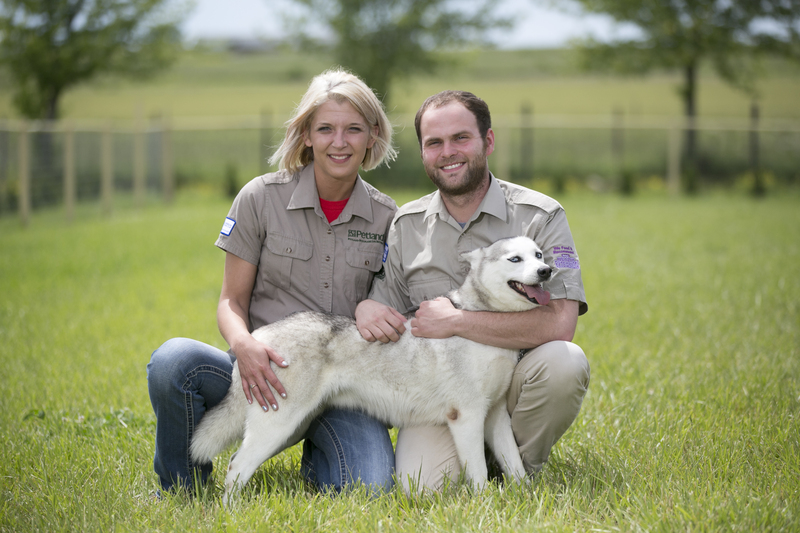 Swift explained that when looking to begin the K9 Unit, the idea of having a social dog was important. This will allow for Smith and Bonnie to attend events such as Food Truck Thursday and the Fourth of July festivities without any concerns. While she is social, LaRosa explained that Bonnie will have no issue “flipping the switch” when it comes time to work. As of now, the plan is to have Bonnie trained as a “single-purpose” dog/drug dog, although there is still the option to train her for apprehension and tracking which would make her a dual-purpose dog. 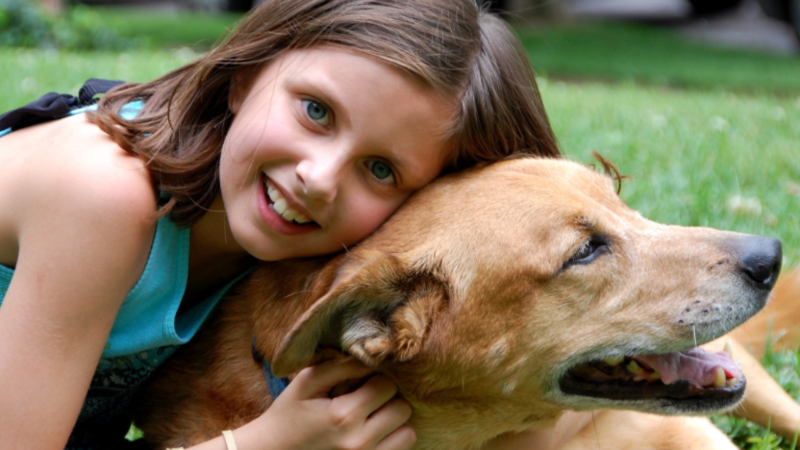 This is not the first time Smith has worked with a canine, having previously been a canine handler as part of the Nationwide Childrens Hospital security team. That was also where he first worked with Petland to acquire a canine. 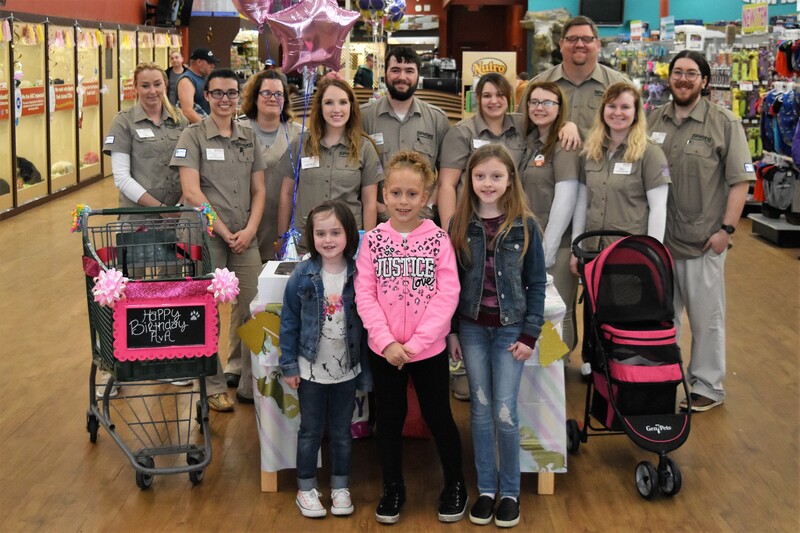 Hannah Mullin, Communications and Community Service Coordinator for Petland, was on hand Friday to meet Bonnie, as well as deliver supplies and toys for her. This is the 81st canine that Petland Corporate, based in Chillicothe, has helped to place with law enforcement. Anyone interested in donating to Middleport Police Department K9 Unit may do so through the Middleport Police Department, with the donation marked for the Middleport Police Department K9 Unit.